These include Bradycardia cheap doxycycline heart block and congestive failure.. The UP-B95 has four razor-sharp cutting edges and will cut up to 1″ diameter aluminum and copper coaxial cable. 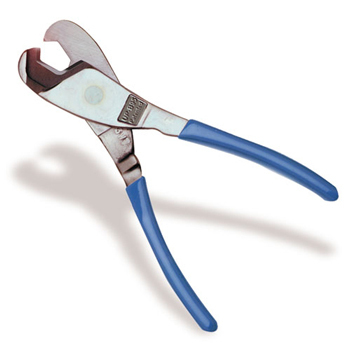 This is the ideal hand tool for CATV and telecommunications specialists. Made from heavy-duty drop forged tool steel it is specially heat-treated for long life. The patented precision ground curved cutting blades are used like a tube cutter. Rotate the tool back and forth around the cable until you to get to the inner conductor – then simply snap it off. Look for the distinctly colored blue plastic dipped cushioned handles. Overall length 8¼ inches. This tool is not designed for cutting steel or ACSR. This tool can be purchased from CATV and Communication Supply houses.